Poll agenda: Bengal chief minister Mamata Banerjee. Photo: PTI. 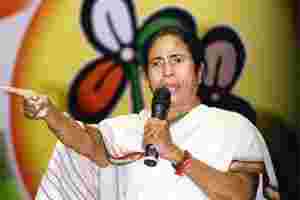 Kolkata: Mamata Banerjee announced in May, within a week of taking over as West Bengal’s chief minister, that she would make public the agreement between the state and Tata Motors Ltd for the aborted Nano car factory in Singur, in line with a poll promise made by her Trinamool Congress party. It was Chatterjee who had initially, and at a time when the Trinamool was the state’s primary opposition party, demanded from the state’s principal information officer under the Right to Information (RTI) Act full disclosure of the agreement. Tata Motors moved the Calcutta high court in September 2008 saying that it didn’t want “trade secrets" to be made public, and obtained an injunction on disclosure of the full agreement. Banerjee, who had famously said after the second cabinet meeting of her government, that no “trade secret" was to be kept under wraps , hasn’t yet made public any agreement signed during the previous government’s term. Worse still, her government refuses to disclose details of the recently concluded agreement with real estate developer Universal Success Enterprises Ltd (USE) for development of an industrial park and eco-tourism infrastructure at Nayachar, an island on the Hooghly river, for which over 12,000 acres was allotted. Chatterjee said only parts of the agreement that was of “concern to the public" would be disclosed, but that, too, not immediately. Soon after concluding the deal with Tata Motors, West Bengal’s erstwhile commerce and industries minister Nirupam Sen had read out in the state legislative assembly the “operative part" of the concessions agreement, revealing terms under which the 645-acre plot in Singur was leased out for 99 years. A four-page agreement was also put out on the website of the West Bengal Industrial Development Corp. Ltd (WBIDC), and “hundreds of thousands of copies were downloaded within days" said one of the officials cited above. What was, however, kept under wraps was the annexure to the main agreement, and the Trinamool Congress cried foul over this, saying that the government had only disclosed what was “convenient" for it to do so. As people waited for the Trinamool Congress to lift the veil on the previous government’s best-kept secret, officials from the state’s commerce and industries department told Chatterjee that the 11-page annexure contained nothing except calculations in spreadsheet format in support of the concessions agreed upon. These had already been disclosed in the four-page agreement that was accessible to the public for years. “The minister was told that people wouldn’t be able to make sense of those excel sheets," a commerce and industries department official said, requesting anonymity. “Not even bureaucrats involved in the drafting of the agreement can immediately explain all the entries." These complex calculations were included as an annexure so that it could act as a “guide note through the entire life of the lease agreement. If, at any point, the state government failed to deliver the concessions promised by it, both WBIDC and Tata Motors could refer to these calculations and determine the financial implication of such deviation," this person added. Realizing that there was no “trade secret", the state government put its effort to make the agreement public on the backburner, saying legal opinion was being obtained on how to remove the restrictive court order. Tata Motors had opposed the disclosure of the annexure because it would have given its competitors a “better understanding of the Nano’s cost structure", according to a spokesperson for the firm. He declined to offer any further comment. The state must protect commercial interests if large investments are involved, and there are provisions within the RTI Act under which the authorities can refuse to make agreements public, said Niloy Pyne, partner, Amarchand and Mangaldas and Suresh A. Shroff and Co.—one of India’s leading law firms. “However, the case for complete disclosure becomes stronger if the developer for a project is not chosen through a competitive process such as bidding." USE chairman Prasoon Mukherjee said he wasn’t opposed to the agreement being made public. The government thought it shouldn’t be made public, so it wasn’t disclosed, he said in an interview. “My humble submission to the government is if it chooses to put this agreement in the public domain, all similar development agreements should also be made public." Asked why the state government continues to guard development agreements, three state government officials said it wasn’t confident of facing public scrutiny of such documents. Even agreements from the previous government aren’t being made public because that would put pressure on the people now in power to disclose agreements they enter into, the officials said, requesting anonymity. Citing the agreement with USE, one of them said there could be a lot of issues with it, that could potentially lead to disputes. “Whereas lawyers haggled for months before the previous agreement with Mukherjee was signed, this agreement was drafted hurriedly, and I am not sure whether adequate legal opinion was obtained by either side," he said.